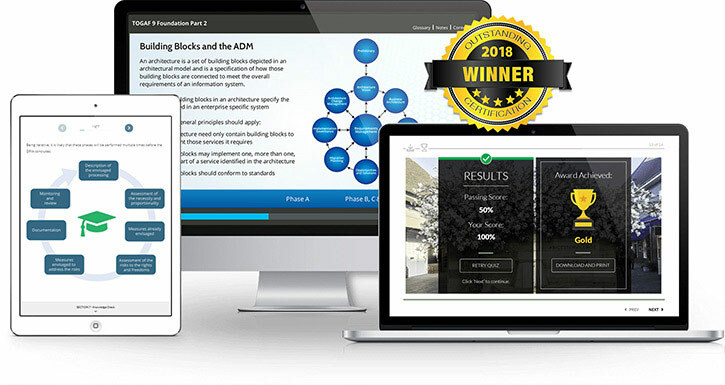 Provide your clients with award-winning and fully-accredited online training courses - best of all, it won't cost you a penny! The Good e-Learning Partner Program offers you the perfect opportunity to increase your service portfolio and add a new stream of revenue to your business with our award-winning online training courses. We cover the cost of sale, support, maintenance, accreditation, and administration. We can even supply you with all the tools you need to market and sell our courses, including brochures, lesson plans, promotional videos and other course collateral. We even supply you with all the tools you need to market and sell our courses including brochures, lesson plans, and other course collateral. Register your interest in our Partner Program today! Why Partner With Good e-Learning? Competitive Margin & Rewards - We take a fixed amount for each sale and let you choose your margin. You can even enjoy a starting 20% discount on our regional RRP! "Good e-Learning are always a pleasure to deal with. They have a solid understanding of our industry and are always very diligent in managing our relationship"
Good e-Learning specialize in the delivery of certified training for Business and IT professionals. Whether you are looking for a subscription model, blended training or classroom support, we will work with you to deliver a solution which fits your needs. We provide you with everything you need to sell our courses including data sheets, free trials and advice on speaking to clients. Get instant access to a portfolio of award-winning fully accredited certification courses covering the biggest standards in business & IT. Can't take online payments directly? We can provide a branded eCommerce solution that fits seamlessly into your existing website. Does your client require customized training or a course built completely from scratch? Our in-house team of experts can help. Create a new stream of revenue by offering your customers a range of fully accredited and award-winning training courses and solutions. Register your interest in becoming a Good e-Learning partner and a member of our team will be in touch to run you through the whole process!